Hello! Despite the fact that today is Valentine's Day and all other blog content is likely to be very lurve centred, I wanted to share a different style of post to the others floating around the internet, as the 14th of February 2017 marks my blogs fifth birthday! It seems so surreal to me that it was 5 years ago that I sat with my group of secondary school friends, whilst they fathomed blogger and how to create me my own site, and I brainstormed the ideas I wanted to create and how Charlotte's Web would take form. In hindsight, I almost wish I had gone with a less cliche name for my blog and social media platforms, but being the nostalgic gal I am, can't bring myself to switch to anything else. 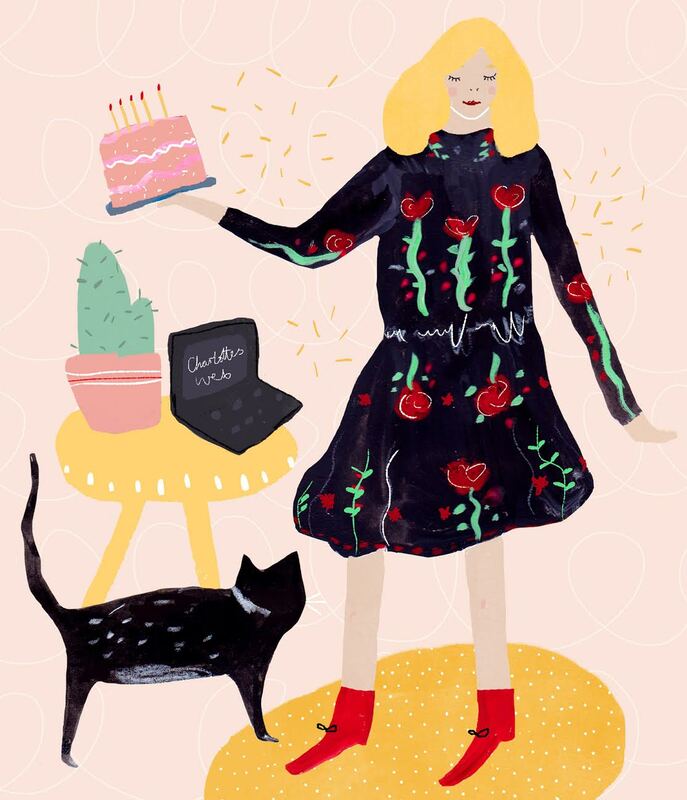 To celebrate the occasion and mark 5 years of ~pretty much~ consistent uploading, I worked with surface pattern designer and all round girl boss Amy Hodkin to create the above piece which I simply ADORE. I wanted something that summed up my blog and it's style, whilst including a few of my favourite things to create a really personal illustration that I would treasure forever. I will leave links to Amy's social media and portfolio at the end of this post, and I highly recommend browsing through her blog also because she is uber talented and deserves a 'lotta love! 2013 was really a year of experimentation on my blog, as I tried to figure out what sort of content I wanted to produce and how to go about taking and editing photos (note: not very successfully, as demonstrated above). I was almost reluctant to share some of my first blog images in this post, despite the fact the original versions are still live, but I quickly realised that this post is really about celebrating development and progress and I think the above photos really show how at the beginning of Charlotte's Web I was posting purely for the love of posting and not with any real aims for growth. 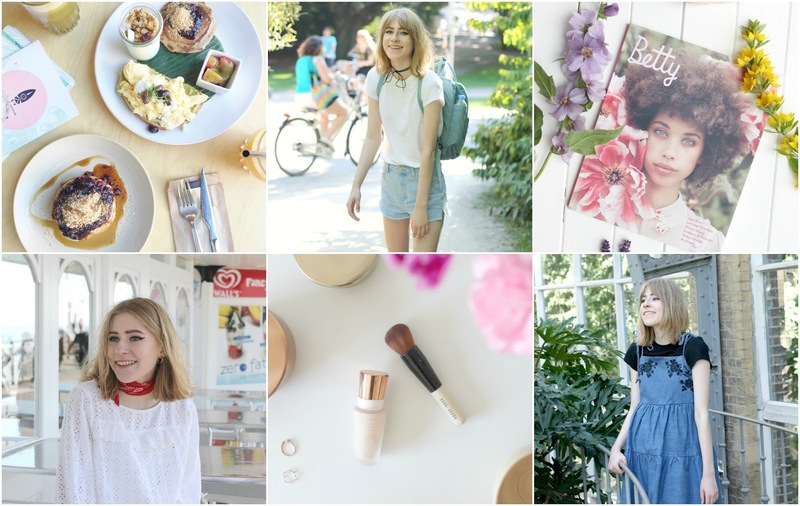 My blog was initially very heavily beauty based, and I think looking back over my posts from years gone by I can gradually see my gravitation towards fashion focused content and how I got to where I am today as a fashion student! It's crazy to me that although I have been blogging for 5 years, throughout which so much has changed, for the duration of that time I have remained in education and with blogging purely remaining to be a hobby and spare time activity. I think it's really important to recognise that in the scheme of my online ~journey~ and give myself credit for keeping passionate and consistent with what I love! One of my favourite posts from 2013 was a Catching Fire inspired nail art design which I remember being so proud of at the time! I think it's a great reminder to focus on the things that excite you (original Hunger Games fan over here) and as a result, only good and positives outcomes will be had! I definitely put too much pressure on myself now to write the perfect posts with high quality images, and that's perhaps why I don't upload as regularly as I did when I started CW and was all about spontaneous sharing! My blog doesn't provide me with any source of income and so really there's no pressure for me to execute perfect posts every time, and I think looking back to my 2013 beginnings has reminded me of that! 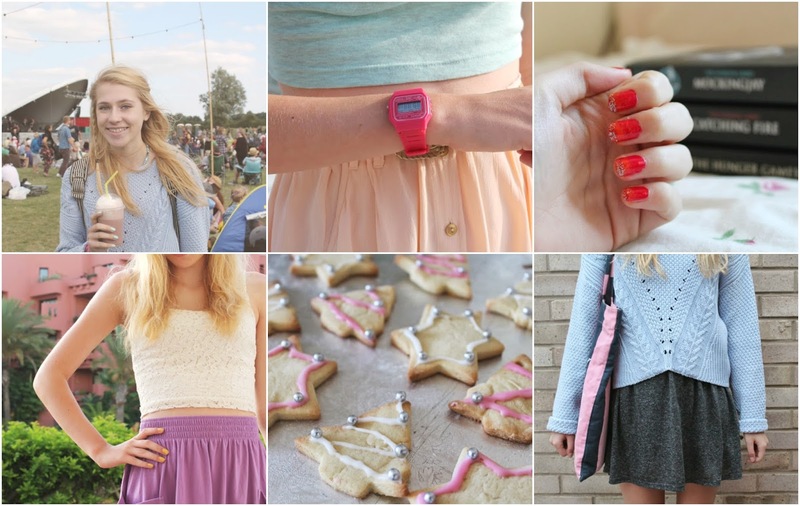 I think it's particularly clear from the 2014 photographs above that this was the year I really got into the swing of blogging and found my groove in terms of aesthetic (lol please don't think I'm pretentious) and the content I wanted to focus most on. 2014 was my busiest year in terms of blogging, in which I published over 60 posts which was a real achievement for me as someone in education and with all the other teenage problems going on. 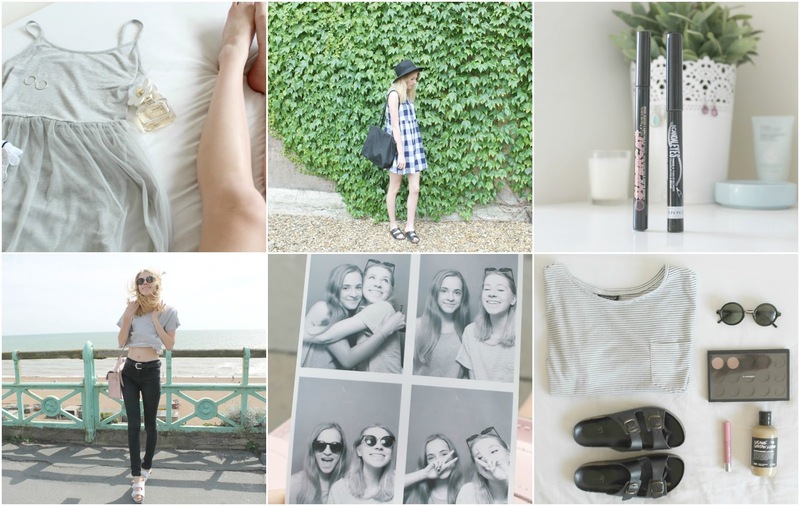 It really sounds like I'm blowing my own trumpet in this post, but reminiscing over my blog has made me super proud of the consistency and volume of posts I've produced whilst juggling so many other commitments. 2014 was the year I fully made use of the Canon camera I had received later in the previous year, and I began to experiment with photography and taking personal style photographs outside the realms of my garden or village. 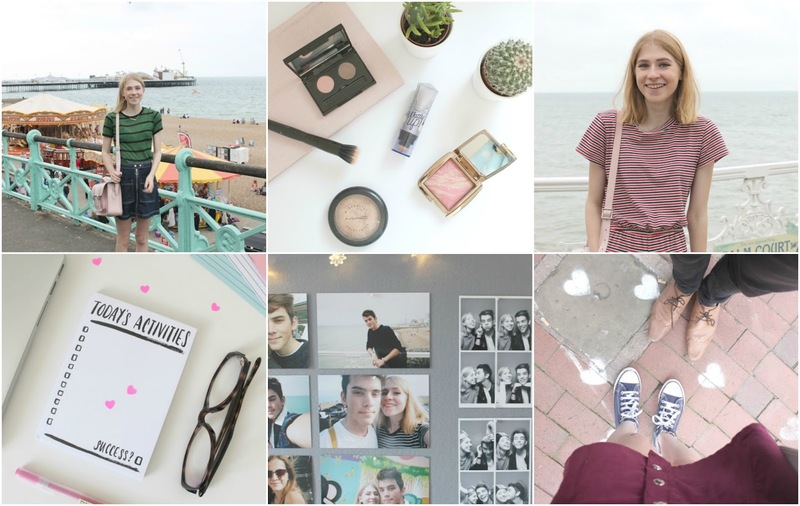 Some of the photos above are my favourites to date, in particular the outfit photos shot in Brighton by my lovely sister, whom up until I met Scott, acted as my resident, albeit reluctant photographer. 2014 was the year I began the birthday series which I still continue to this day, in which I look back over the previous year and discuss the lessons I learnt throughout that period of my life. This is one aspect of my blog I love to look back over, and reminds me how important it can be to document your thoughts, fears and feelings at a particular time in your life in order to recognise how much you have grown! Looking back at my '16 Things I Learnt Whilst Being 16' post is especially important to me, as this was a time in my life where I had struggled intensely with my mental health, yet was in such a state of denial that I really wasn't recovering at all. Despite this, noting how happy I was at SO many other points throughout 2014 is really important to me, particularly when remembering that this was probably my peak One Direction fangirl year, a fact that brings me so much joy to remember. 2014 was a really great year in my life, and I'm so happy to have recorded so many memories from it! 2015 is the year Scott and I became a couple and so of course the addition of a boyfriend meant an increase in outfit photos and photogenic brunches as he took the role of my Instagram husband (lols). We went on our first trip together in the August of that year to Brighton and it's some of the fondest memories I have of our relationship, largely due to the perfect weather, delicious food and genuine happiness whilst strolling the beach, sharing ice cream and wandering the lanes. Brighton also happens to be the most photogenic place on earth so obviously the pastel backdrops were utilised to their full potential, despite how nervous I was to let S photograph me after only feeling comfortable with my sister acting as my photographer until then. OH HOW THINGS CHANGE because since he's got used to the constant "Will you just take a photo of my outfit for Instagram?" and "Can you do it again but a bit closer? "; I probably haunt his dreams with the number of times he's taken photos for me. 2015 was also the year I moved to university and everything began getting a little rocky from September onwards, hence the lack of posting as my anxieties, issues with eating and general panicked state were on the increase. The first term of university was the hardest period of my life, and although I know so many other people feel loneliness and anxieties when first moving away from home, I feel like that period of darkness was a lot more intense than most deal with. I was living with people I either didn't feel any sort of connection with or simply that I wasn't close to, was struggling to eat after feeling conflicted about my ethics and no longer wanting to eat meat but also whilst dealing with an eating disorder, all whilst feeling the weight of my crippling anxiety increase by the day. I'm not looking for pity, but I want to highlight that my Insta feed showed something completely different to how I was actually feeling. I was very open on Twitter at that point and think it's important to portray university accurately, because SO often it's described as the best time of your life and for me, it just isn't. I'm so glad I persevered with it but I do still struggle being away from my family (especially cats) and Scott, but luckily my support system now is so much better than in 2015. THINGS GET BETTER PEEPS. 2016 was a year of SO MANY HIGHLIGHTS. Despite politically and socially the year being a time uncertainty and sadness, in my personal life there were a lot of happy times and achievements I'm really proud of. Brexit was the first time I had been old enough to vote and so despite being able to have my say, I was left feeling even more helpless and disillusioned by the decision, as I struggled to accept that not everyone was as compassionate, accepting and diverse as those I follow online. In terms of blogging, I think 2016 was the year I really upped my game and I'm so unbelievably proud of some of the imagery and content I produced! I was kindly gifted a 50mm lens for my birthday from my dad, which was timed perfectly a few weeks before my trip to Amsterdam and allowed Scott and I to experiment even more with my personal style shots in the most wonderful and exciting city. These are definitely my favourite outfit images of mine, and being able to have so much fun exploring Amsterdam whilst shooting my outfits every day that week was challenging and exciting, as we found new corners of the city that we loved and have memories in. Completing my first year of uni in 2016 was a huge achievement and allowed me to share different parts of my experience on my blog which I had amazing feedback from and felt so rewarded in doing. Overall 2016 was a really exciting year for me online; I started my YouTube channel and branched into a style of content I had been consuming for the longest time which was also a hugely rewarding experience which I have also had so much support with! 2016 was the start of a lot of opportunities and I'm so excited to see where they go from here.